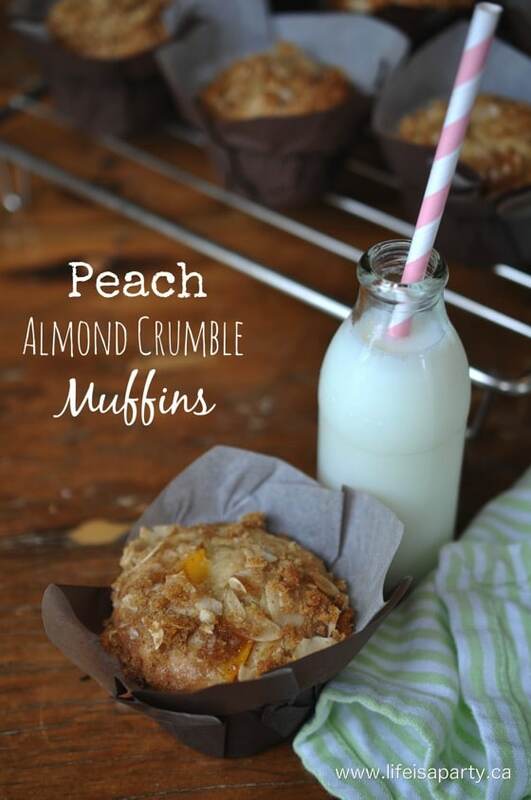 Peach season is almost here, and these Peach Almond Crumble Muffins are a great thing to make with fresh peaches. In fact, it’s a recipe I tried one year when I had too many peaches. 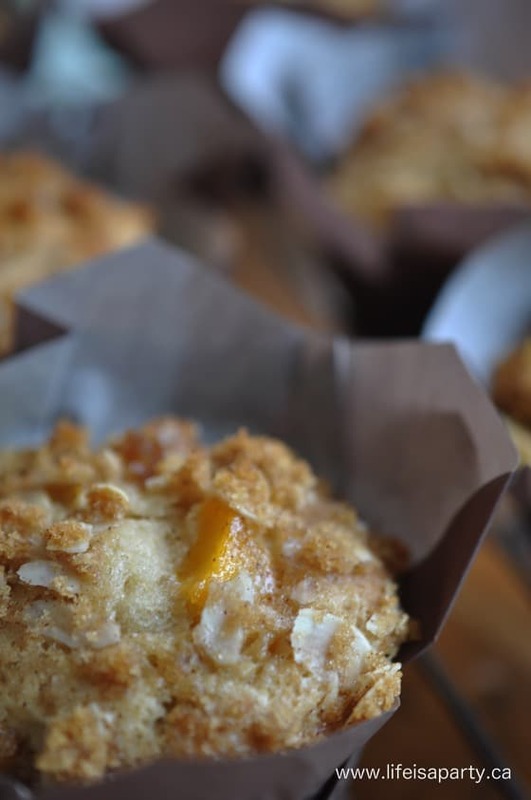 But then one day, it wasn’t peach season and I wanted a muffin and I remembered these. I had the great idea to try making them with canned peaches. And they were still amazing -hooray (and quicker to make too). 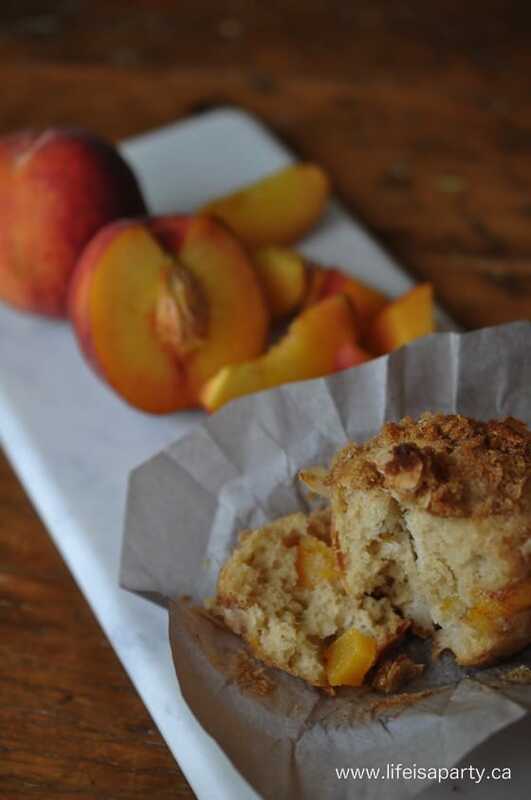 So if you have some juicy delicious fresh peaches to use up….or you don’t, you should make these amazing muffins. I usually make a double batch and freeze half for another day. In one bowl combine dry ingredients of flour, baking soda and salt and whisk to remove any lumps. In another bowl, combine brown sugar, yogurt, oil, eggs, and vanilla and stir to combine. Add wet ingredients to dry and stir to combine. Add in peaches and continue gently stirring until well combined, making sure not to over mix. 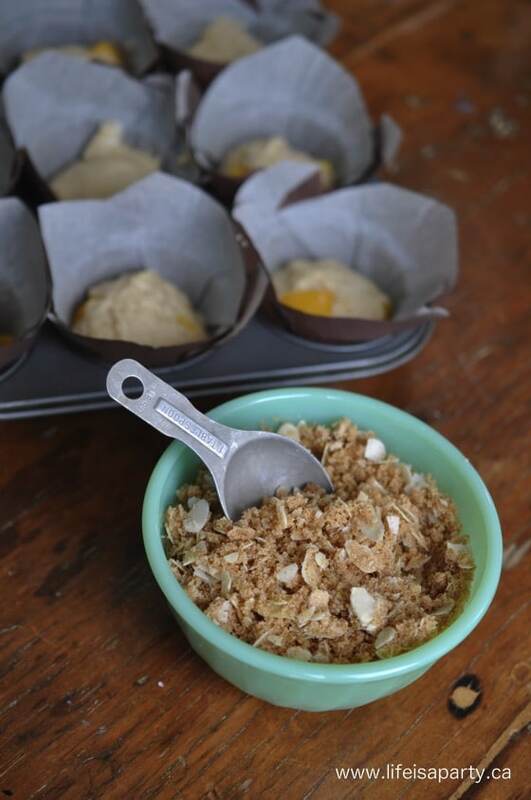 To make the Almond Crumble Topping, combine in another bowl the brown sugar, almonds, and cinnamon and stir to mix. Add in the oil and stir until crumbly. Line muffin tin and fill each about 2/3's full. Top with about 1 tbsp. of crumble mixture. Bake at 350 degree F for 20-25 mins. 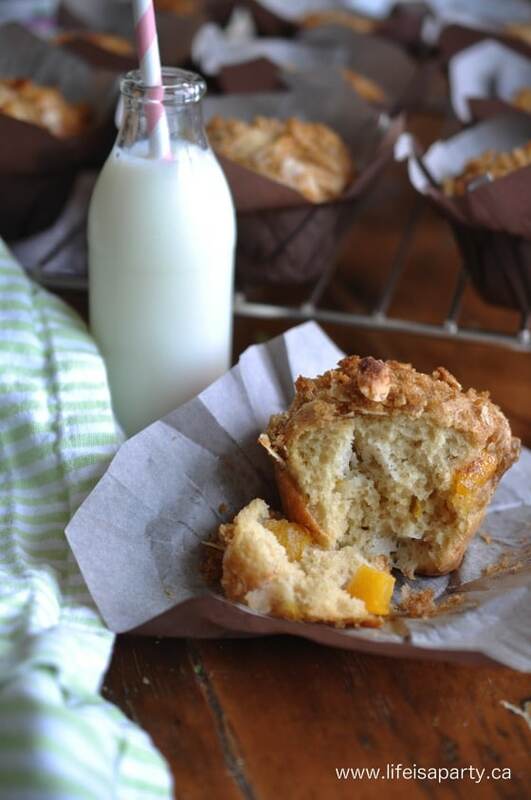 until muffins are firm to the touch and golden brown on top. Makes 18 muffins. These are perfect for summer days with the kids, when you need a little something to pack for a snack at the beach or park. 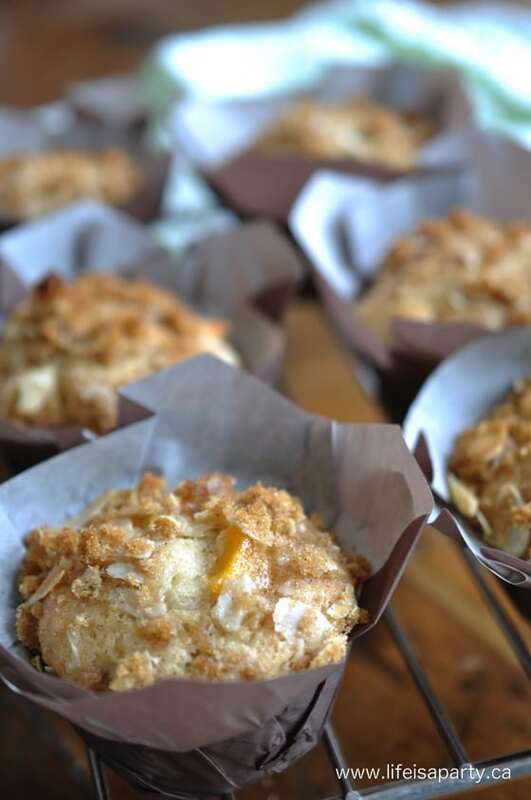 With homemade Peach Almond Crumble Muffins, life really is a party! This post is linked up at Motivational Monday. Wow these look amazing!! Definitely going to be trying these later. These look delicious. We are gluten free so always looking to take recipes and make them with no gluten, if possible. You are my neighbor on Motivational Monday and your muffins caught my eye immediately. Great eye candy to draw you in! 😉 I bet they are yummy!! !